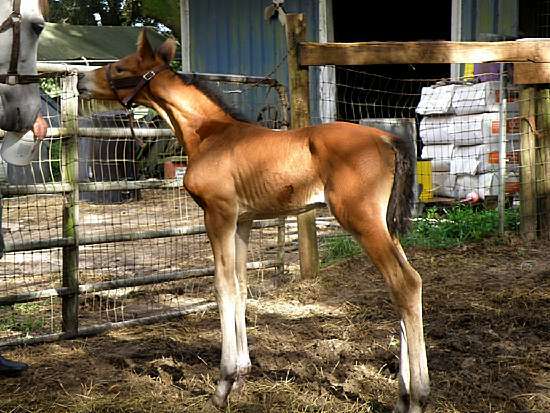 This handsome bay GOV Gelding was born June 16, 2013. 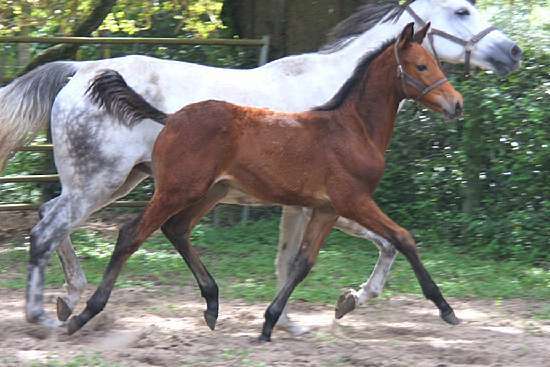 He is by Hanoverian stallion Landkonig out of German Oldenburg Mare, Zeja Vu by Ironman. At three years old Lanzo stands 15.3 1/2. 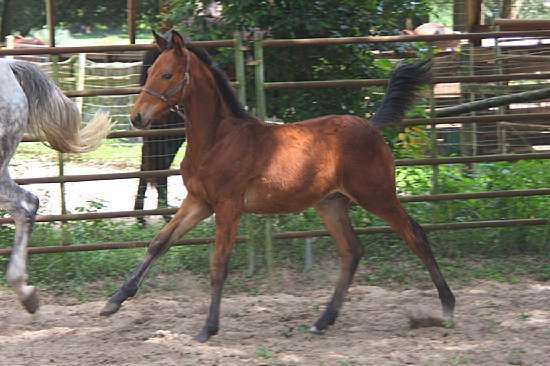 He is very athletic, brave, sweet and should mature 16.2 hands or more. 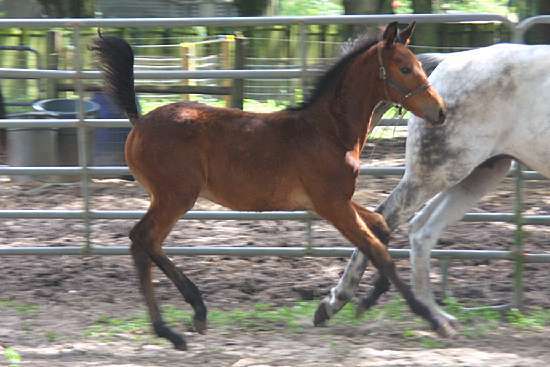 Lanzo has a very free lofty trot and a ground covering canter. With his bloodlines he should make a top notch eventing/dressage/jumper prospect. 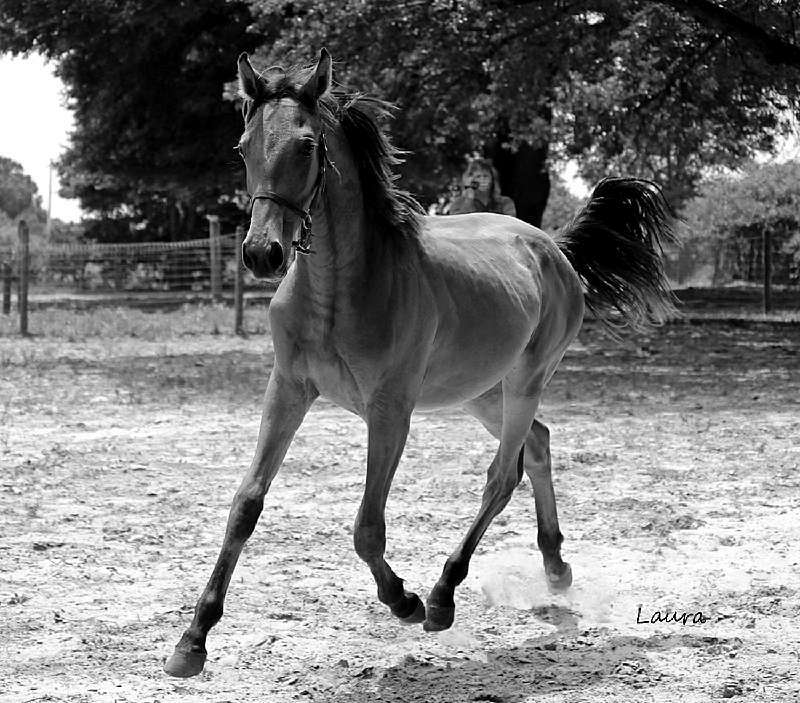 His Dam, Zeja Vu , throws some hunter breeding into the mix as well which shows in his lovely movement. 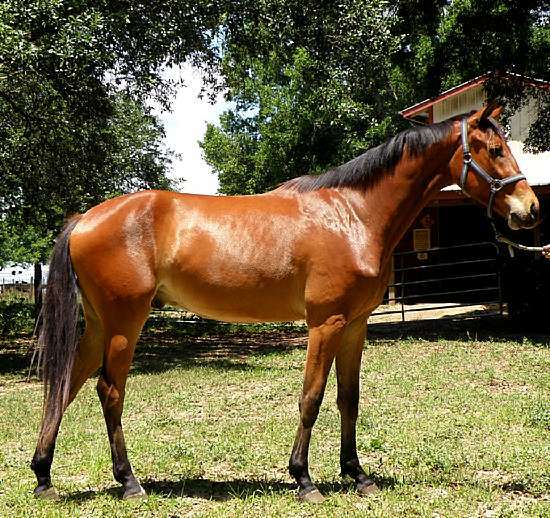 Lanzo is a promising gelding with a lot of potential. He is handled daily and very social. 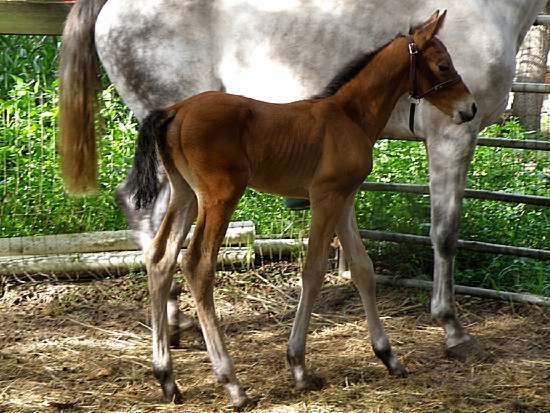 Lanzo is Registered with The German Oldenburg Verband and lifetime Registered with USEF. Lanzo has been purchased by Leah Khorsandian Ellis of Khorsandian Eventing. We are super excited to see this pair grow.